From historical records, the name of Rayong began mentioning in the reign of King Maha Thammaracha, in 1570C. Although it was unsure about the exact origin of this country, the city was presumed to be built around 957C, which was Khmer Period, due to Khmer-art laterite left in Ban Khai District in the present. 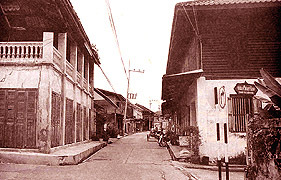 Rayong also connected to a historical story at late Ayutthaya period. At that time, in 1767 century, Ayutthaya kingdom was demolished by the invading Burmese. Just before the demolition at the kingdom, Phraya Tak (general Tak), who became a king later, gathered a group of soldiers breaking through the cordon of Burmese army surrounding the capital. After that, this troop of patriots stopped over at Rayong. Then, they went to Chanthaburi and took back the freedom of Thailand in the same year, 1767C. Rayong is also known as a city of Thailand’s best known royal poet, Sunthorn Phu, who released a lot of great literatures in Thailand. One of literature masterpiece of Sunthorn Phu named Phra Aphai Mani was created with islands and beaches in Rayong as its background. Apart from Chonburi Province, Rayong is another interesting seaside province near Bangkok, situated eastern Gulf coast of Thailand and just about 180 kilometers away from the capital of the country. It covers an area of about 3,552 square kilometers. Half of the landscape edge here is covered by the sea, while the other half is connected to the province of Chonburi and Chanthaburi. For Rayong landscape, it is a combination of towns, beaches, montains, fruit plantations and industrial plants. Rayong not only host 100 kilometers-long coastline, its area also covers islands nearby, including Koh Samed a famous island in Thailand. There are two importat rivers in the province of Rayong. One of them is Rayong River, which is approximately 50 kilometers long. This river connects to the sea at Paknam Suburb, Muang Disctict. The other river is Prasae River, approximately 25 kilometers long, connected to the sea at Paknam Prasae Suburb, Klaeng District. Since major parts of Rayong are agriculture areas, especially tropical fruit garden, it shouldn't be missing of the information about famous fruits and seafood product here. In the case of fruits, what visitors are talking about or looking for are rambutans, durians, pineapples and mangosteens. They are so famous that visitors can find them in every single garden here. Well, what’s about seafood products in Rayong? There are a plenty of seafood products available in the markets and souvenir shops, such as dried seafood (dried fruits also), shrimp paste and fish sauce. One visiting Rayong, don’t forget to bring back some for your familiar or friends back home. Like we all known, one area always has great points for visiting. There are interesting points for tourists to visit in Rayong too. Beaches in Rayong are beautiful and attractive enough to bring a number of visitors come to enjoy them every day, weekend in particular. Plus, bealtiful beaches here are not just main attractions in Rayong. Natural attractions like waterfalls, national parks, fruit gardens, and striking islands also identified. 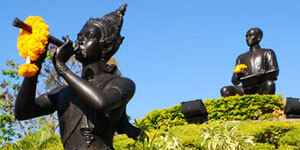 It is clear to say Rayong is one of worth-visiting places in Thailand. Note that, rainy season is a great time to visit fruit gardens as it is the best time to taste fruit, while crystal-clear waters at beaches can be found just after the rainy season, about Nobember to Febuary. To get to and travel around Rayong is not difficult. There are buses to Rayong city provided from either Bangkok, Chaingmai (a provinces in the north of Thailand), and Nongkhai (a provinces in the northeast of Thailand). 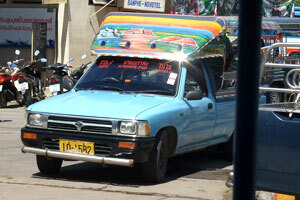 In fact, the city of Rayong can be seen as a regional hub for transportation to the east of Thailand. In the case of getting around the province of Rayong, there are bathbuses, known locally as songthaews, ready to service either visitors or locals from morning till evening. In other words, to go any major place in Rayong such as Mae Ramphung Beach, Ban Phe and Suan Son Beach, it will not be any difficult for travelers, but for a less popular place, it will become more difficult to visitors. More information about how to get to Rayong.